The following is a list of the horse racing jockeys who won the Preakness Stakes the most number of times. 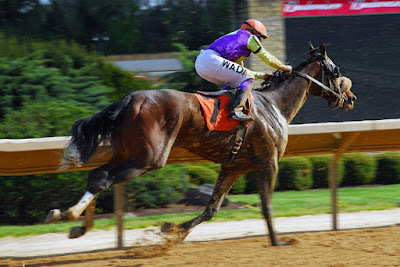 The Preakness is run annually on the third Saturday in May at Pimlico Race Course in Baltimore, Maryland. It is the middle leg of horse racing's Triple Crown, and is one of the most prestigious races a jockey can win. Hall of Fame jockey Eddie Arcaro holds the record for most Preakness Stakes wins with six. Arcaro's first Preakness win came aboard Whirlaway in 1941. Whirlaway won the Triple Crown that year. Eddie Arcaro's second Preakness win came aboard Citation, who also won the Triple Crown, in 1948. Acaro also won the Preakness in back-to-back years in 1950 aboard Hill Prince, and 1951 riding Bold. Eddie Arcaro's fifth win in the Preakness came in 1955 while riding Nashua, and his sixth and final win in the race was in 1957 aboard Bold Ruler, who sired Secretariat. In addition to his six Preakness wins, Eddie Arcaro also won the Belmont Stakes six times, and the Kentucky Derby five times. He holds the record for most wins in Triple Crown races by a jockey with 17. Another Hall of Fame jockey, Pat Day, won the second most Preakness Stakes with five. Day's first Preakness win came in 1985 on Tank's Prospect. His second win was aboard Summer Squall in 1990. Pat Day then won the Preakness Stakes for three consecutive years from 1994 to 1996. In 1994 he rode Tabasco Cat to victory, in 1995 he rode Timber Country, and in 1996 his winning mount was Louis Quatorze. In his career, Pat Day also won the Belmont Stakes three times, and the Kentucky Derby once, for nine Triple Crown race wins. As a bettor, I almost always stayed away from the horses Pat Day rode because they would almost always be overbet by his adoring racing fans. In 1999, Pat Day rode the second place finisher in the Preakness, Menifee. 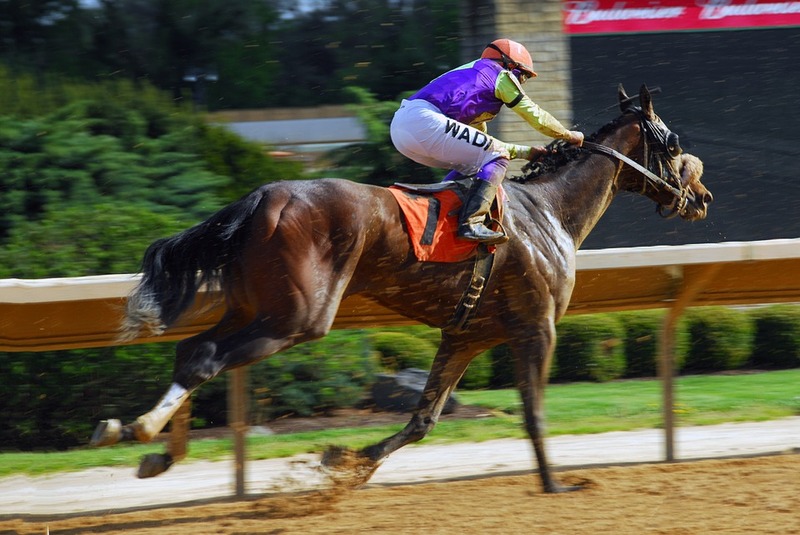 That race is notable because it produced the largest superfecta payout in Preakness history. Bill Hartack won the Preakness Stakes three times in his career. In 1956 he rode Fabius to victory. His second win was aboard the great sire Northern Dancer in 1964, and his third win came in 1969 with Majestic Prince. In addition to his three Preakness wins, Bill Hartack also won the Kentucky Derby five times, and the Belmont Stakes once. Hartacks' five wins in the Kentucky Derby is tied with Eddie Arcaro for most wins in that famed race by a jockey. George Barbee, who was born in Norfolk, England, won the Preakness Stakes three times, including winning the very first running of the race in 1873 aboard Survivor. Barbee also won the Preakness aboard Shirley in 1876, and aboard Jacobus in 1883. Jockey Lloyd Hughes is tied with George Barbee and Bill Hartack for the third most wins in Preakness Stakes history with three. Hughes won the Preakness in 1875 with Tom Ochiltree, in 1879 with Harold, and in 1889 aboard Grenada.